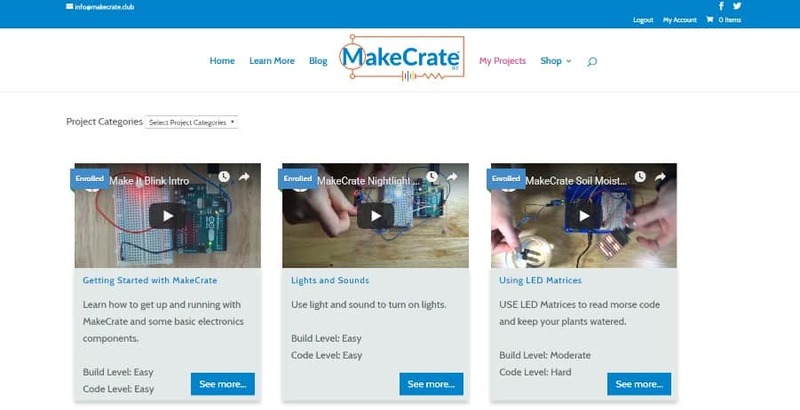 If you have a child who is interested in learning how to code, MakeCrate is for them! 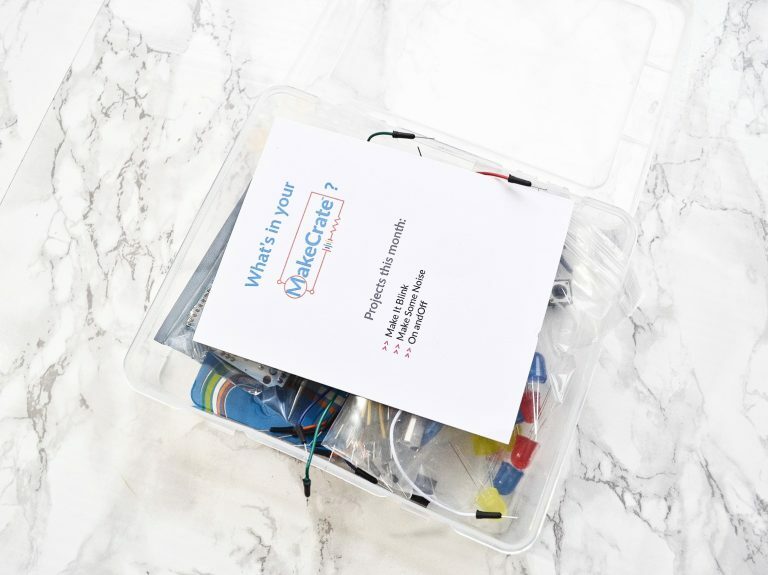 MakeCrate is an engineering and coding subscription box that delivers a hands-on electronics project each month, paired with an online learning platform that provides instruction and help. 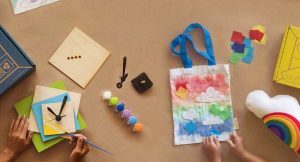 Plans start at $20/month, and kits can be combined with previous kits to create even more fun activities. In today’s review, I will be walking you through MakeCrate’s starter kit. 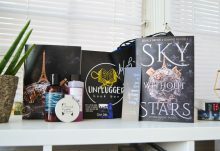 It was packaged in a clear plastic tub, which is something I’ve never seen from any other subscription box! I like that I could get a peek at all of the components. 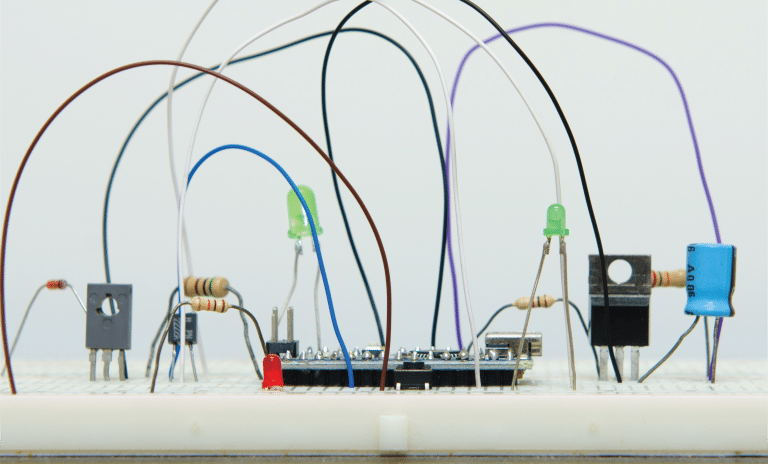 The starter kit includes the materials needed for three projects: Make It Blink, Make Some Noise, and On and Off. 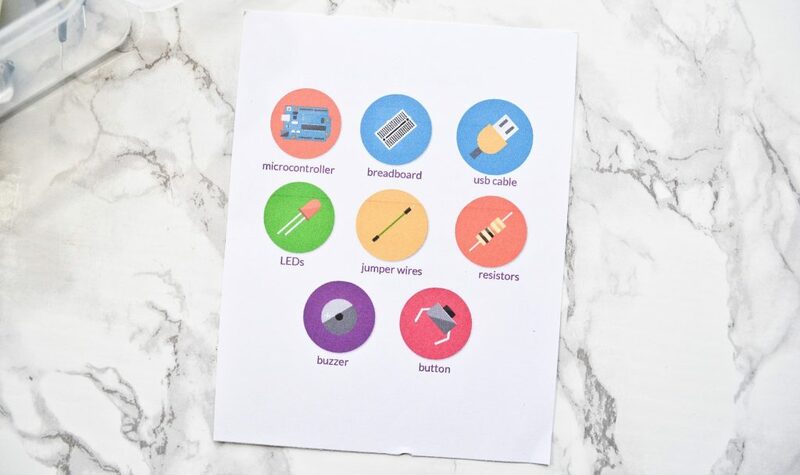 MakeCrate also included a card that listed each of the items in this month’s box. I like that they included pictures of each part, because otherwise I would have had no idea what they looked like and if any were missing. The crate was absolutely stuffed with materials! Here is everything I received in the crate. I matched the materials up with the card MakeCrate provided to make sure I received everything. 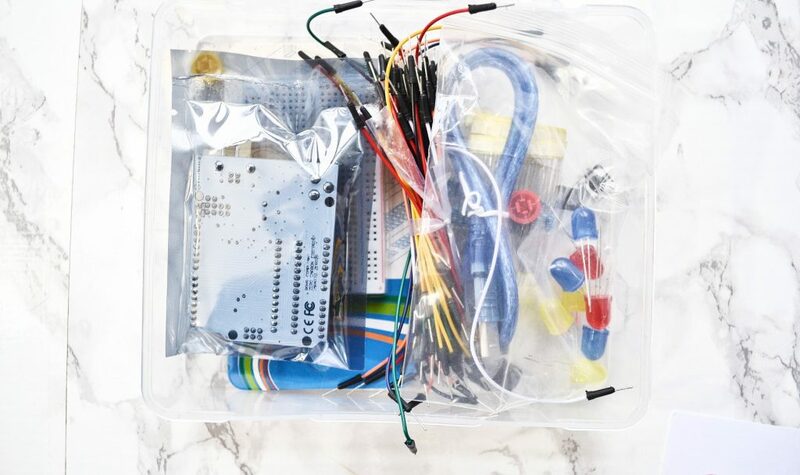 The starter kit contains: a microcontroller, a breadboard, a USB cable, LEDs, jumper wires, resistors, buzzers, and buttons. 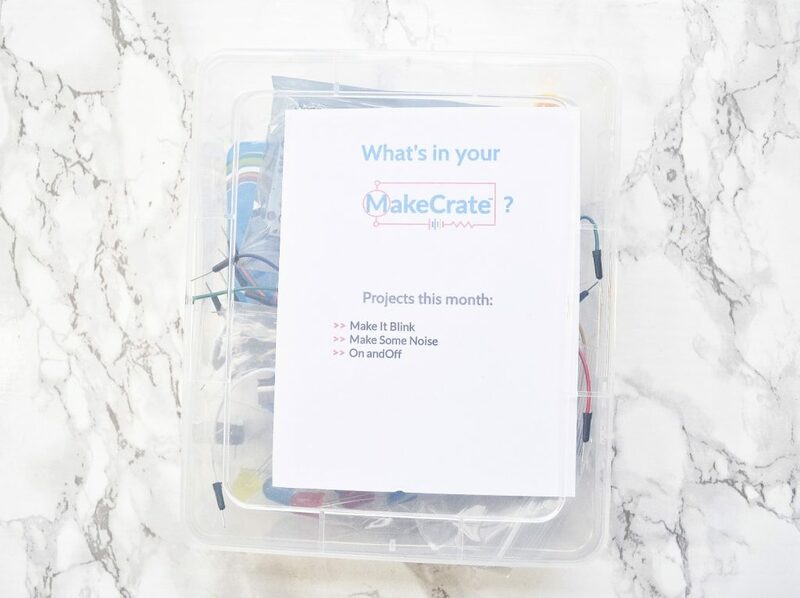 A MakeCrate subscription gives you access to their online learning resources. I created an account, and was able to see which projects I was enrolled in. This crate gave me all the materials for the “Getting Started With MakeCrate” project. There were 6 lessons in this project, and each once contained a couple of videos. You are supposed to be able to keep track of your progress and earn awards and points. Unfortunately, I could not check off any of the lessons and earned no points. Not a big deal, but I know some kids are very point-driven. It’s possible it was a web browser issue; I use Google Chrome. 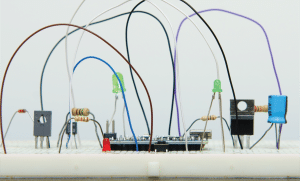 The MakeCrate videos directed me to an online Arduino platform, where you can download a web based plugin to code! 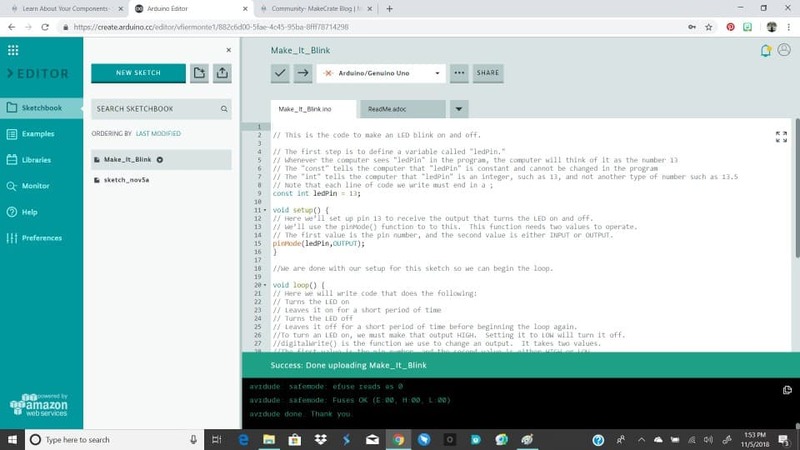 In a later video, I was directed to download an Arduino application. You really only need one of the two; I preferred the web based version because it is more user friendly. I did notice a couple of issues with the MakeCrate learning resources. There was supposed to be a video about how buzzers work in the Make Some Noise lesson, but that section was blank. Also, one of the videos in Lesson 1 directed me to download code from www.makecrate.community, but that webpage no longer exists. I spent a long time combing through the website and the forums, but it turns out the code is included in later lessons. It would be nice if there had been an update for Lesson 1, because it was confusing trying to find the code! I don’t have kids, so I worked my way through the project on my own. 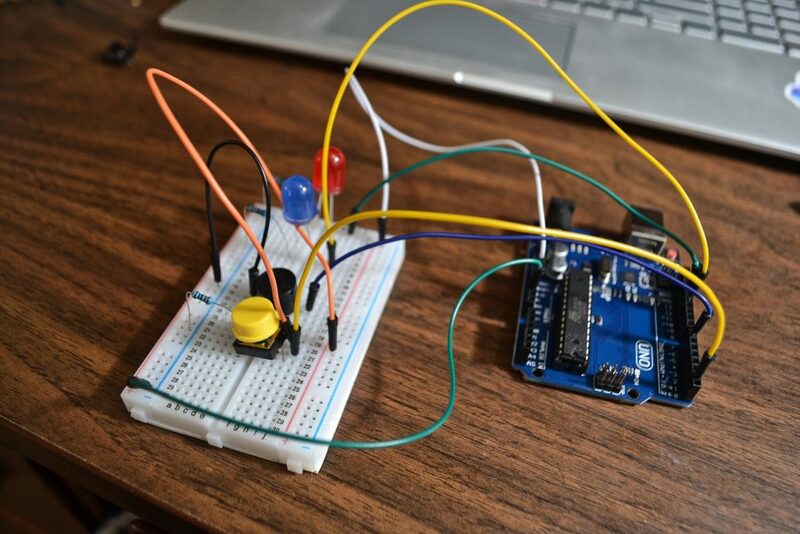 It was a fun challenge, and I learned a lot about circuits and coding that I didn’t know before! The only coding experience I really have was a QBASIC course back in middle school, and I barely remember it. The MakeCrate videos were extremely helpful, and they really took the time to explain each part of the building and coding process. 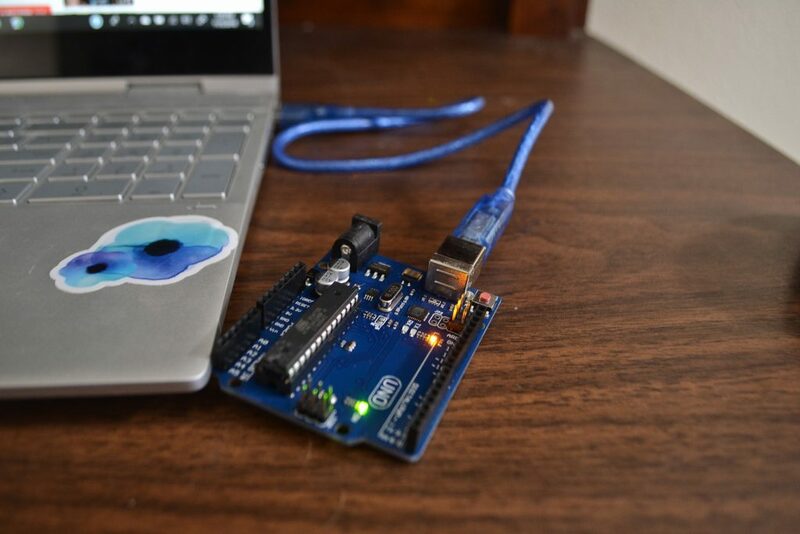 I also liked that you had the option to either write your own code, or upload a pre-coded file to Arduino. First, I attached the microcontroller to my computer, and synced it with Arduino. 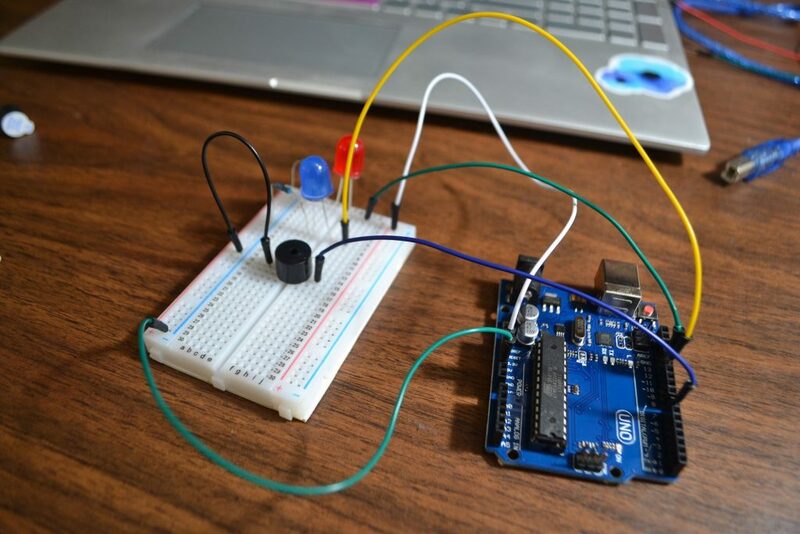 Next, I connected the breadboard to the microcontroller with a couple jumper wires, set up an LED, and added a resistor so the light wouldn’t blow. I wrote a code that would make the LED turn on and off. After that, I added another LED and a buzzer. 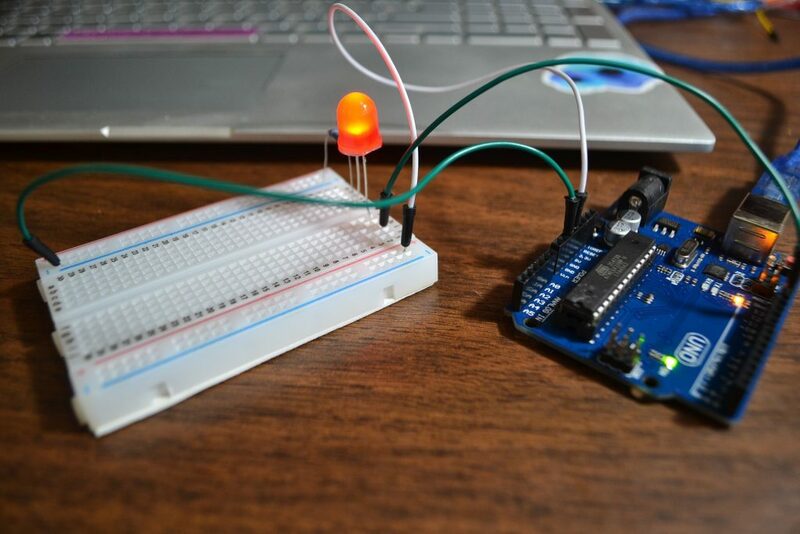 The new code built on the old, and made the blue LED light up at the same time as the buzzer went off. 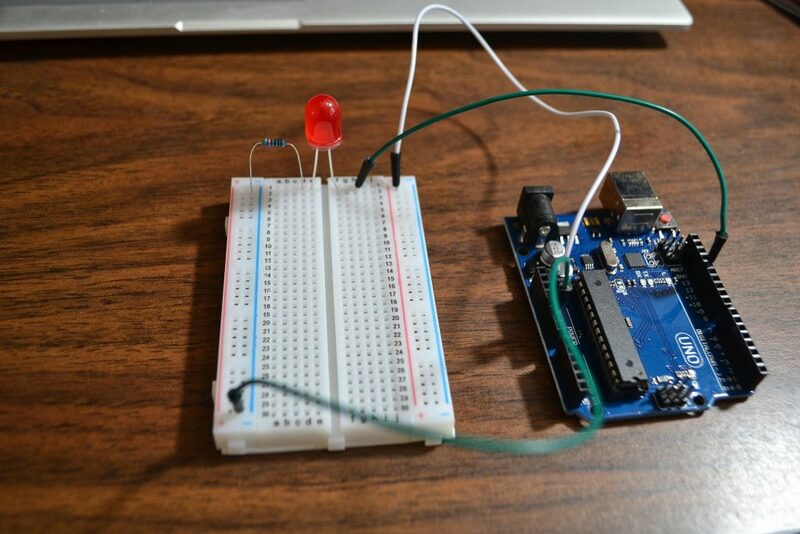 The final step was to add a button, which controlled the buzzer and both LED lights! At this point there were wires everywhere, and I was surprised that I hadn’t managed to screw up the project by miswiring it. Even though I’m a full-grown adult, I was still pretty proud of myself for putting all this together! 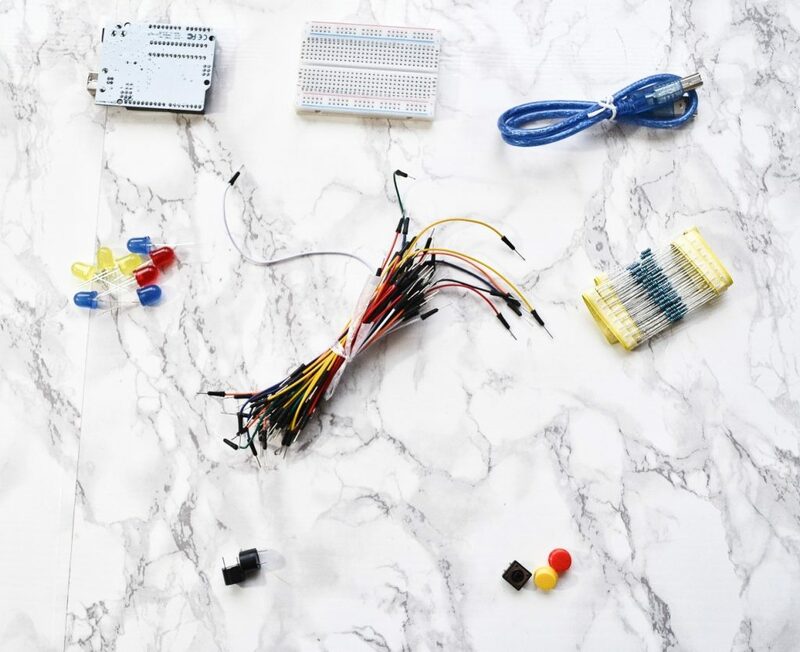 I think MakeCrate is a wonderful resource to help your teen learn how to code. This makes STEM both fun and interesting, and will stretch your child’s mind. 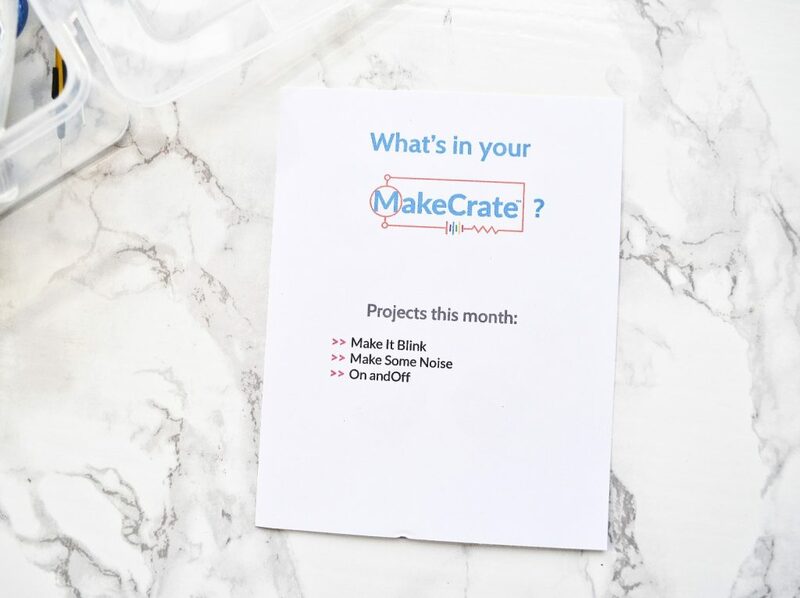 How would you rate MakeCrate ?